Sally Camacho Mueller graduated with honors from both the Culinary and Baking & Pastry Programs at the California Culinary Academy in San Francisco. She returned to her home in Los Angeles, to work with Donald Wressell at The Four Seasons Beverly Hills and from there went on to work at numerous award-winning resorts and fine dining restaurants including The Wynn Las Vegas, Bradley Ogden at Caesars Palace, the Fairmont Turnberry Isle Resort in FL, Wolfgang Puck's WP24, the Hotel Bel-Air, and the Jonathan Club. 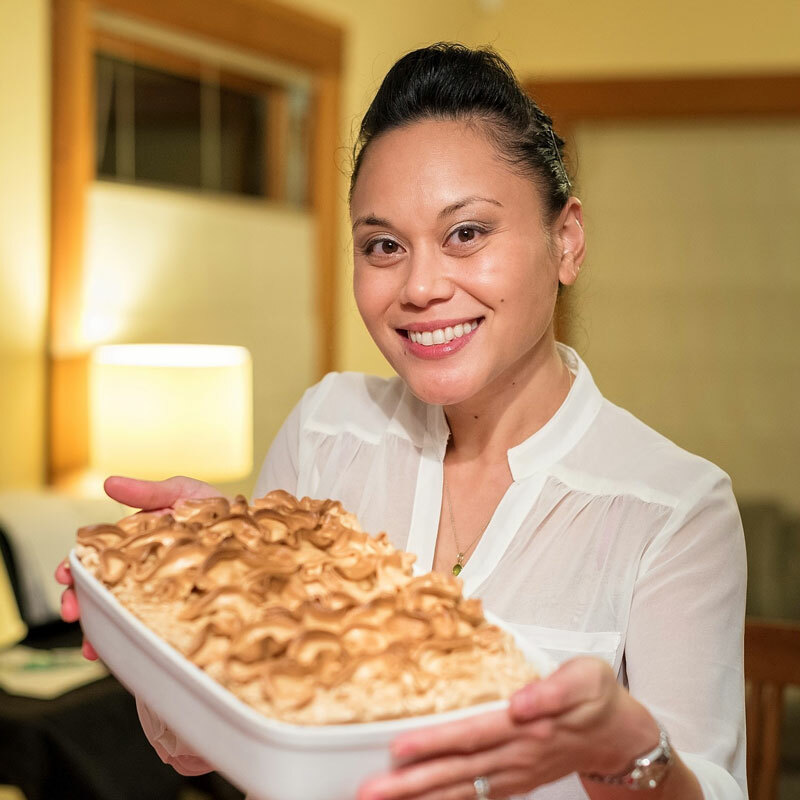 In 2015 she joined as the Culinary Institute of America Greystone in Napa Valley as pastry chef and baker instructor. Sally has successfully competed in numerous national and international competitions. In 2011, she competed against 5 other pastry chefs and won the US national title for Valrhona C3 Competition. The following year, she went on to represent the US at the Valrhona C3 World Competition in Spain during Madrid Fusion where she placed 3rd. To date, this is the highest level any US pastry chef has ever reached in this world competition. That year she also was named "Top 10 National Pastry Chef" by Dessert Professional. Her work has been featured in numerous publications and in 2011 she was a cheftestant on Bravo's Top Chef: Just Desserts where she came out as a finalist and runner-up. Sally is currently preparing to open the contemporary French restaurant Tesse in West Hollywood as Managing Partner.